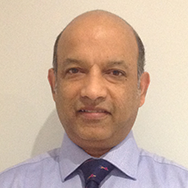 Dr AK Balabhadra- BSc,MSc,MD, MRCGP is a GP with Special Interest in the Management of Substance Misuse and Hepatitis in Primary Care. He has worked for a number of years dealing with management of Substance Misuse in NHS, Voluntary organisations and in Prison Services. He holds the RCGP2 qualifications for Management of Substance Misuse & Hepatitis in Primary Care. He also has an academic degree-MSc in Addictive Behaviour from St George’s Hospital and School of Medicine. His thesis was on impact of long term Methadone treatment on high risk injecting & sexual risk behaviours amongst Intravenous Drug Users. He is interested in promoting health education, Hepatitis awareness, harm minimisation and opportunistic screening for blood borne viruses in the high risk populations. His other interests also include rapid diagnoses, testing, educating patients and clinicians about Hepatitis and developing shared care pathways in the community.